Selling Beyond the Product™ | Jack B. Keenan Inc.
What distinguishes consistently high performing sales professionals in your organization? Their customers will tell you that it is their personal value, their business value, their political value, and their technical value that establishes them as an influential, trusted advisor. Selling Beyond the Product™ is a hands-on workshop experience in which participants actively learn the foundations of a value-added, solutions selling process. SBP is a learning experience that helps sales professionals learn to develop credibility through their due diligence and influence through their discovery process differentiating themselves by the way they do business. How does a sales professional truly add value? By deciding to take that stance in all their interactions with their customers. By understanding what value is to this customer – in all its forms. By focusing their discovery on the customer’s full implementation of a solution – not just on the product they want the customer to buy. 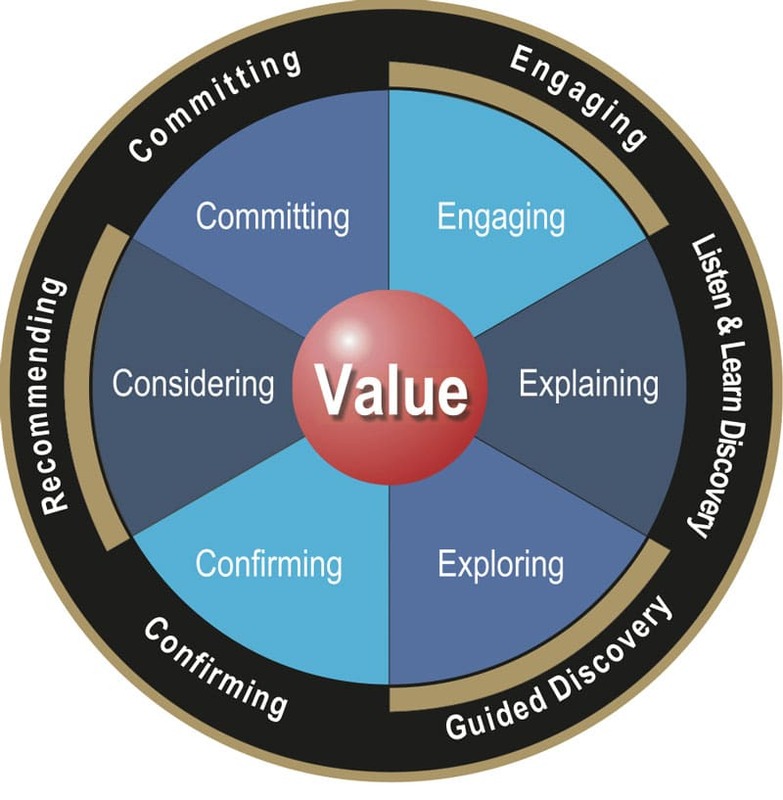 And by understanding that adding that value helps to create a relationship characterized by two things – trust and influence. of our Selling Beyond the Product program fact sheet or contact us directly.